Both cable clamp options have straight and 90 degree designs. Standard plastic straps to secure the bundle, contact and wires. The 09 backshells series are for medium to heavy duty clamp and Quick-Ty applications. 001 part designator is our cable clamp strain relief that grips the wire bundle to secures contacts from pulling out of the connectors . 021 part designator gives wire bundle strain-relief using a tie wrap to secure the bundle and contact from pulling out of the connector insert. Straight and 90° configuration angles to secure wire direction. 09 backshells mate to MIL-spec connector series (D38999 series I–IV strain relief, MIL-C 26482 series II, MIL-C-50151, EN2997, EN3645) with MIL-spec approved finishes for both conductive and non-conductive applications. Both cable clamp options have straight and 90° designs. Having light to heavy duty strain relief options enhances direction of the wire harness, securing the bundle under high vibration applications. 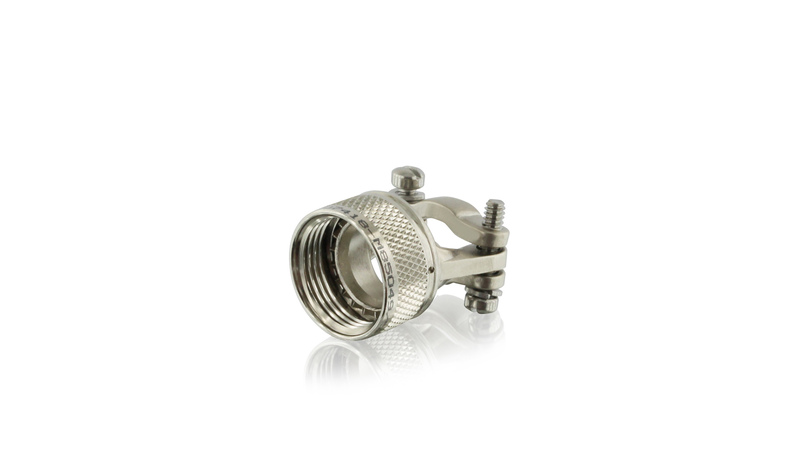 M85049 “N” backshell category approved design seats at the root of the teeth on the connector preventing loose engagement and loss of attenuation for electrical continuity. The Quick-Ty product uses standard plastic straps to secure the bundle and secure contact and wires from being pulling out of the connector inserts. Self-Seating couplings manufactured to AS85049 QPL Stand “N” category for non-detented self-locking coupling devices. Zinc Nickel Black ASTM B841, Class 1, Type D, Grade 5. Contact Company for full list.